Everybody's save the date will differ depending on the wedding, but they all should include: first and last name of the couple, wedding date and location. 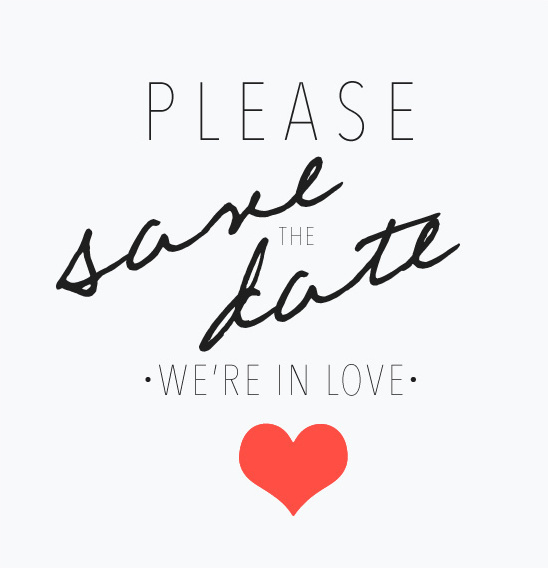 Should you list how many people are invited on your save the date?You do not have to, but it will be nice for your cousin to know if she can bring a date, so we would say yes. If you do not want your Mom's best friend to bring her three kids, we suggest addressing her envelope to Mr. and Mrs Matthews. If the kiddos can come say The Matthews Family. We suggest throwing out your wishes early on, this will save confusion in the long run. 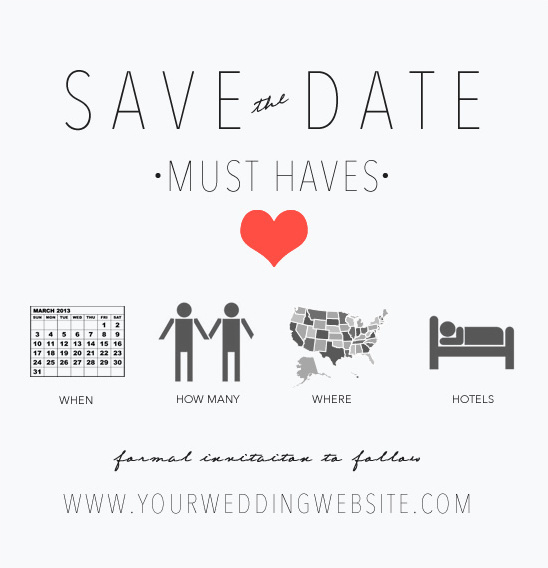 Should you list nearby airports or hotels on your save the date?If your guest list has quite a few friends and family that will be flying in we suggest listing this information. In this day and age, you can get some great deals if you plan in advance. Calling a hotel and blocking off rooms and requesting group rates will make your friends and family smile. Do we really need a wedding website?Wedding Websites are such a great way to keep everyone updated on your event. If you decided not to list hotels, airports or that there will also be an after wedding brunch, you can do so on the web site. There are so many great wedding web sites out there that literally take a few moments to put together. Making the process easy peasy lemon squeezy. If you have any other great save the date wedding tips and tricks be sure to leave a comment, we are all about advice.